I thought my “about the Author” page was boring so I have included a more comprehensive Biography page for those who would like to know a bit more about me. I was born in the 60’s. My mother was a young 18-year-old “Pakeha” Scottish/British descendant. My Father, about the same age, is Maori with perhaps some mixed blood. Back in the day, young Caucasian women who fell pregnant out-of-wedlock were actively encouraged by their families to abort or abandon their offspring. The quicker the better and young women would be herded out-of-town to visit a “Sick Aunt” before anyone in town noticed their predicament. So much for Free Love. The “Sick Aunt” was in fact a home for unwed pregnant women. Here they would wait out the pregnancy, returning to their homes and families a short time after giving birth. Contact between the young mothers and their babies was not allowed post delivery. Bonding and the associated synaptic connections are not afforded these children. I don’t think the family pressure was solely because of the mixed race element however, these were the days of Maori oppression. The indigenous kids would be whacked across the knuckles with a ruler by the teacher if they spoke their native tongue at school and interracial relationships definitely frowned upon. I think that my adoption reflected the families community standing and the customs of that era. So here I am. An order of Adoption was issued 9 months later and my name changed to Kristin Henzler. My parents adopted me after a number of years of failed pregnancy attempts. They had their first child, a girl, and desperately wanted more or at least one more child to feel they have completed their family. 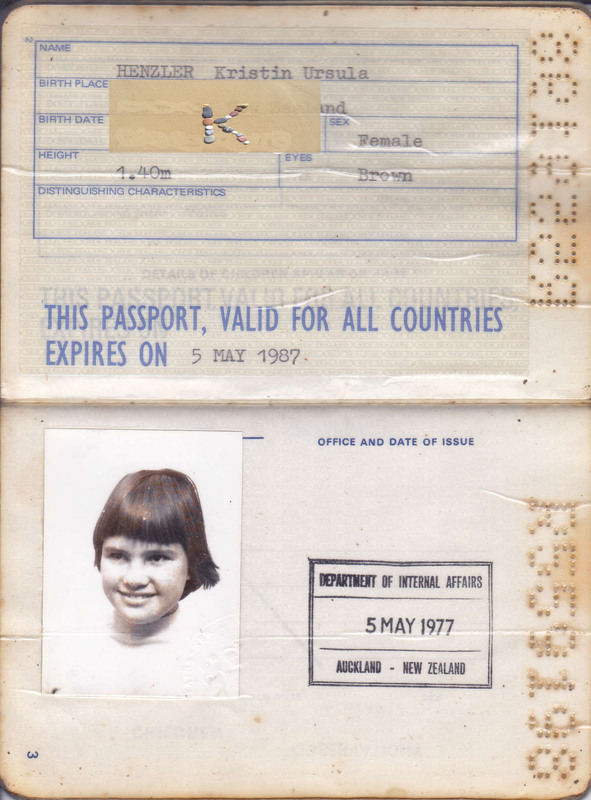 This entry was posted in Australia, Biography, Photography and tagged Adoption, Biography, New Zealand. Bookmark the permalink. Have been curious about your part of the world for some time. Happy to know you! Cute photo…and always good to know a bit more about a fellow blogger. Cheers! Thanks. I think the “Romulan” look must have been the fashion of the day 🙂 Home hair cuts, don’t you love em..
Ha, yes I’ve had a few Romulan cuts in my days. I remember one time my Mom had tears in her eyes after cutting my hair because she kept ‘correcting’ her mistake and could no longer hold in her laughter (which actually even made me laugh…). Gotta love em!